This problem was bugging me for a while now. 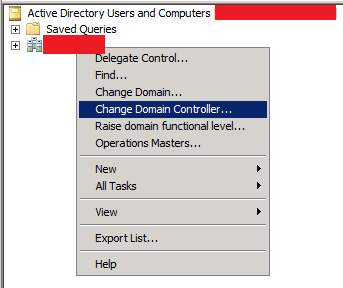 Every time I have to connect to a different DC, status for one of them is showing as “Unavailable” In my case this hasn’t got anything to do with the domain controller actually functioning or having connectivity. DC works fine and I haven’t had any problems with it. This entry was posted in Active Directory, Support, Windows and tagged domain controller, status, unavailable on January 22, 2013 by Adrian Kielbowicz.